Thank you to all the bidders, buyers, and consigners. See ya next year! 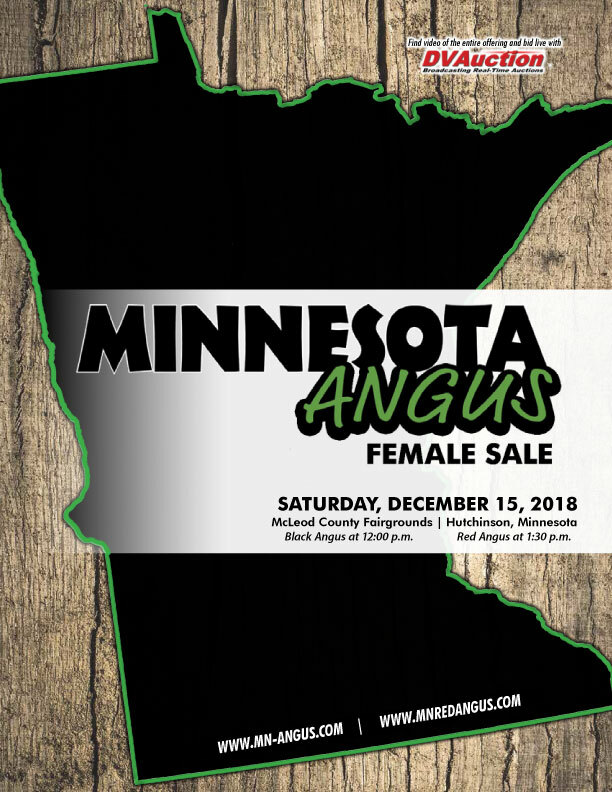 The Minnesota Red Angus Association working together with the Minnesota Junior Red Angus Association annually select a junior member who is excited and willing to promote the Red Angus breed throughout the state of Minnesota. The person selected as the ambassador will represent both the senior and junior associations of the state. Not only will this young person have the opportunity to promote the breed around the state and meet great producers from different areas, but also the winner of the ambassador competition will be given a $250 scholarship and Belt Buckle! Excellent maternal traits – Calving ease bar none, high rate of milk production making them excellent mothers that produced heavy weaning calves. Reproduction traits- Reproduction is the number one factor that influences profitability. The number and quality of the calves on the ground at the end of calving season represents the potential economic recieved on the herd bull investment. Red Angus breeders have focused on increasing the performance of their cattle, but have not lost sight of the importance of calving ease. As a result, the genetic trends of Red Angus show a strong increase in growth with only a small change in birth weight. Red Angus cows are early maturing, easy breeders who deliver live, vigorous calves and breed back within a very short time. Quiet, easy going dispositions – The gentle dispositions of Red Angus cattle make them a pleasure to own and work with no matter of age, locale or operation. 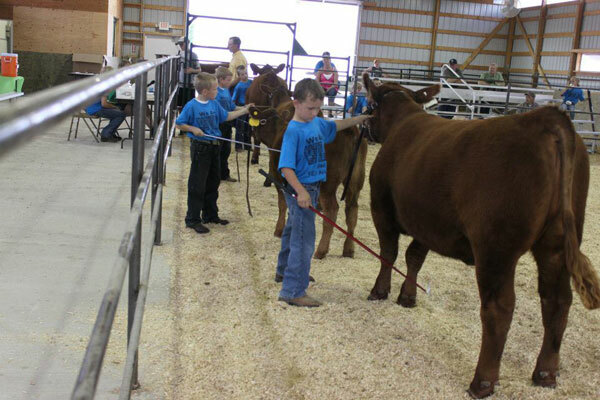 Because of their gentle dispositions, many young people enjoy involvement with Red Angus cattle in junior shows throughout the nation in 4-H, FFA and open shows. These are the Red Angus breeders of the future and the future of the Red Angus breed.